We often get asked to offer advice and time [always for free] to some sort of LawTech initiative and sometimes we find it confusing to keep track of what they are all doing, especially when they often overlap. 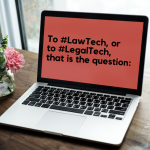 So to help you navigate the sometimes blurry landscape of LawTech initiatives, we’ve gathered everything we know into one place. Whether you’re looking for enlightenment, a competitive edge, a grant or an avenue for giving back, there will be an initiative for you. The initiatives we cover below are: the Law Delivery Panel | HMCTS Reform Programme | SRA Innovate Testbed | Manchester Law and Technology Initiative | Innovate UK. We plan to keep this page up to date. If we have made any errors or omissions please email: jack@legalgeek.co [yes it’s .co]. Innovate UK is the UK’s innovation agency. Funded by government and private partners, it has invested more than £3 billion over the past 12 years in more than 8,500 innovative companies and projects. To find and support science and technology developments which will drive future economic growth. To grow the UK economy. Innovate UK say their £4.3 billion investment in companies and projects has added £18 billion to the UK economy over 12 years and created 70,000 extra new jobs. Any business which carries out its work in the UK and which intends to exploit the results from the UK could qualify for support. To allocate funding systematically, UK Innovate runs competitions for different business sectors. Keep an eye on what competitions are live. A recent competition relating to the legal sector offered a share of £12 million to companies developing AI and data-enabled products and services to accountancy, insurance and legal firms. ThoughtRiver: for a project to establish ‘thinking AI’. University of the West of England and Lyons Davidson Limited: to establish an automated legal advice helpline utilising AI. IntelPact: to accelerate contractual obligation extraction using artificial intelligence. AUTTO: to deliver increased workflow efficiency for legal departments and law firms. University of Liverpool and Fletchers Solicitors: to develop a Digital Legal Assistant. Legatics: to use automation to cut out time-consuming and administrative tasks performed by specialised finance lawyers. Farewill: to generate complex legal documents concerning end-of-life planning. Aston University and Higgs and Sons: to deliver and evaluate a workforce intelligence planning system for multi-organisational enterprise in the legal sector. If a funding competition is relevant to you, you can make an application via an online portal or by submitting a hard-copy application. Here is a useful page that outlines the application process. Tag us on twitter @wearelegalgeek and we will add relevant comments to the media section[s]. Eight of the brightest and most influential minds from the UK legal profession form this panel including The Law Society President Christina Blacklaws, Richard Susskind, Rt Hon Lord Keen, High Court Chancellor Geoffrey Vos plus representatives of the Bank of England, UCL, the MoJ, TheCityUK, and Vodafone. The panel’s aim is to grow this sector and increase the contribution to the UK economy, worth more than £26bn to the UK in 2017 (equivalent to 1.5% of UK GDP). Furthermore, the UK is the second largest legal services market in the world thanks to English and Welsh law being the most commonly used law in international business and dispute resolution. So technological advancements which take root in the UK will be well placed for international roll-out in future years. For the majority of legal tech professionals, observation of the panel’s activities (at least to begin with) will be more beneficial than direct involvement. Keeping up to date should be easy as the panel will publish minutes of all its meetings on The Law Society website. Those keen to be more directly involved should contact the Head of Public Affairs and Campaigns at the Law Society, Alexandra Cardenas. To build on the SRA’s ongoing work in encouraging new ways to deliver legal services that benefit both the public and small business. To execute this aim, they are hosting an open competition “to seek out and accelerate a number of ethical AI-powered legal services”. The winners will be given the opportunity to test their services in a controlled environment, working closely with the SRA. The competition is open to law firms, tech companies, civil society organisations, universities, academics and any other innovators looking to collaborate to bring to the market AI and automated services for small businesses and consumers, where they can have “a transformative impact”. (2/4) Your weekend legal AI/tech reading served fresh from the AL kitchen. The Manchester Law and Technology Initiative was founded by University of Manchester, Freshfields and DWF Ventures. Since launching LaTI have added three new partners Weightmans, Fletchers Solicitors and St Johns Buildings Barristers Chambers. Note: there was a name change and you may have read an article which previously referred to it as ‘The Manchester LegalTech Consortium”. The initiative aims to develop research and teaching focused on the potential application and the impact of digital technology in legal services. To produce future graduates with the skills to utilise the technology and platforms within the legal sector and to aid the understanding of emerging technology trends and their potential impact on legal services. The initiative is open to additional members from legal, technology and associated sectors. Industry leaders are being actively encouraged to apply for membership to the scheme. To do so, please contact the University’s Business Engagement Lead for FinTech, LegalTech & Cyber Security Rachel Kenyon. More can be read about it on the University of Manchester’s School of Law website. The HM Courts & Tribunals Service is an agency of the MoJ. They are responsible for the administration of criminal, civil and family courts and tribunals in England and Wales and they handle four million cases a year, operate from around 350 courthouses and hearing centres and employ more than 16,000 people. HMCTS, Legal Geek and SCL have previously collaborated on a super fun online courts hackathon in 2017 which was organised with Richard Susskind and attended by the Lord Chief Justice (who gave Jimmy a high five – still his proudest moment in LawTech). The reforms are aimed at “making justice less confusing, easier to navigate, and better at responding to the needs of the public.” Their work is ambitious with 50 projects identified and more than £1 billion being invested over six years. Some successes are already emerging, such as a digital divorce service which has cut the number of incorrectly filed divorce forms from 40% to less than 1%; and the completion of a trial to fully conduct court hearings by video. Greater efficiency in legal processes will lead to cost savings for the public. For the impressive price-tag of £1 billion, the effects of the HMCTS Reform Programme need to be far-reaching. The 50 projects identified are spread across the criminal courts; civil, family and tribunals cases; family justice; and cost-cutting services (such as video hearings). All projects are slated for completion by 2022 at the latest, with plenty due to be wrapped up before then. HMCTS are actively seeking feedback and ideas from “those who work within the justice system, as well as those who care about it”. They are also looking for volunteer testers for their new service. If you want to get involved you can email HMCTS. You can stay up to date with them on Twitter. @HMCTSgovuk are awesome, esp in the inclusive digital delivery piece. As with GDS an exemplar for user centric and service design, right tool/simple tech, data measurement, openness. If the rest of LegalTech learnt from this, as this is learnt from cross industry best practice.